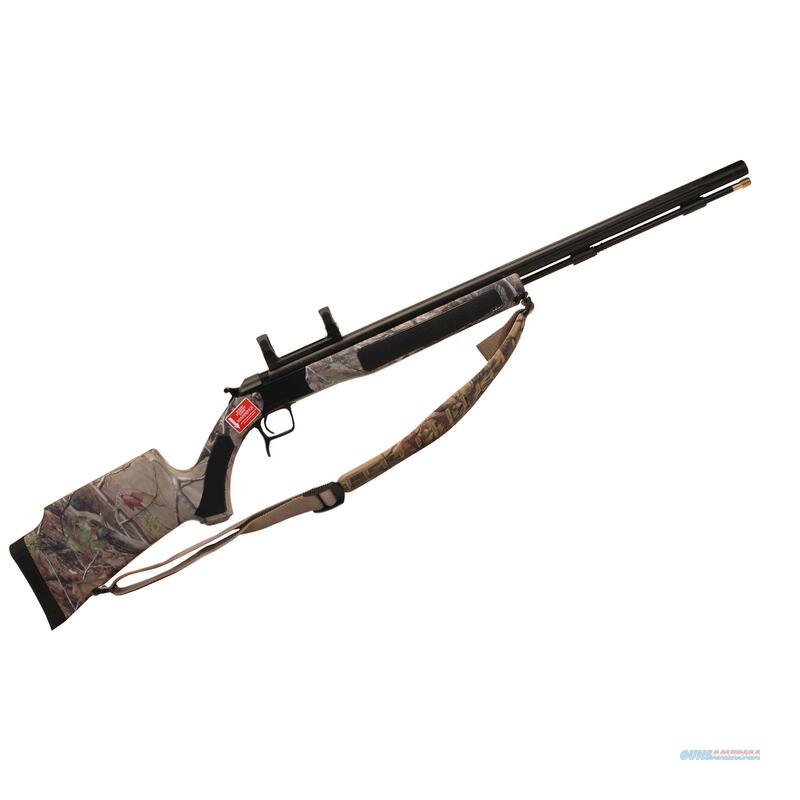 Description: The Accura V2 Nitride is CVA's top-of-the-line muzzleloader. This rifle offers a higher level of performance and more specialized features than other CVA muzzleloaders.The Nitride Accura V2 model PR3125NM comes in a Realtree APG HD Camo stock. This rifle provides a level of accuracy performance that is unequaled by any muzzleloader on the market today - due to its custom, premium quality, Bergara barrel. These Nitride coated Bergara barrels,made from high quality 416-grade stainless steel, have quickly become recognized as the most accurate production barrels in the world. And while many of the world's most highly regarded center-fire manufacturers use Bergara barrels on their guns, only CVA offers them in a muzzleloader. It is these Bergara barrels that enable CVA to guarantee their Accura series rifles to be the "The Most Accurate Muzzleloader You've Ever Shot -- Or Your Money Back. "The Accura V2 Rifle features a Nitride-treated Bergara barrel that's meant to take the high-end rifle to a higher level.The Nitride finish technology, known as Salt Bath Nitride, is used to treat the barrel. Already available in military applications, the nitride process hardens the outer layer of steel, making it both more durable and corrosion-resistant than chrome, which was previously the highest standard in bore-toughening techniques. Unlike exterior ceramic coatings, the nitride process penetrates both the outside and inside of the barrel, and can withstand thousands of shots.The Nitride Accura V2 is designed to fit a wide range of shooters with an overall length of 42", the V2 provides just the right combination of balance and maneuverability. The Accura is simplistic in operation because the breeching lever is built right into the trigger guard, making the Accura one of the easiest opening break-actions on the market. In fact, the entire gun can be disassembled by removing a single screw. The V2 design sports many features to help you with your hunt, like CVA's patent-pending Quick-Release Breech Plug (QRBP), the only such breech plug on the market that can be easily removed with your fingers, NO breech plug tool needed. The rifle's ergonomically designed stocks are fully ambidextrous and available in both standard and thumbhole designs. In addition, the stock and forestock are upgraded with a SoftTouch coating and rubber grip panels, making them both comfortable and secure in the harshest of weather conditions. Finally, this Accura model comes standard with a DuraSight One-piece Scope Mount and a Camo Contour Sling.Specifications:- Caliber: .50 Caliber Magnum- Fluted Bergara Barrel: 27" Nitride Finished Barrel- Bullet Guiding Muzzle with 1:28" Twist: Yes- Ambidextrous Composite Stock: Realtree APG Camo Stock- QRBP - Quick Release Breech Plug: YES- CrushZone Recoil Pad: Yes- Reversible Hammer Spur: Yes- Quake Claw Sling: Yes - Matching Camo- Cocking Spur: Yes- Drilled and Tapped for Scope Mounts: Yes- DuraSight Scope Mounts: Yes- Overall Length: 42" Length- Solid Aluminum PalmSaver Ramrod: Yes- Adjustable Trigger: Yes- Total Weight: 7.3 lbs- Length of Pull: 14.5"